Interesting Facts Orange Fiesta came with a whicker serving basket. The new “Oval Casserole with Serving Basket” was released in 1971. Unofficially known as Orange Fiesta, the new design was printed on the 1 ½ quart Oval Casserole (043). The set came with a whicker serving basket and a decorated opal ware lid. 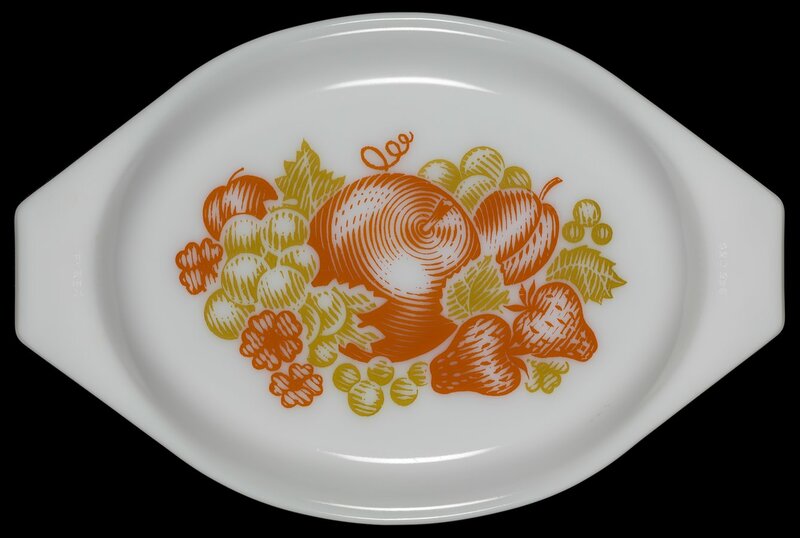 The casserole is a dark orange with a design of orange and mustard yellow fruit and flowers printed on the opal ware lid.